There are currently no setups for BMW 850i BLACK RACER EDITION. Add a Setup. 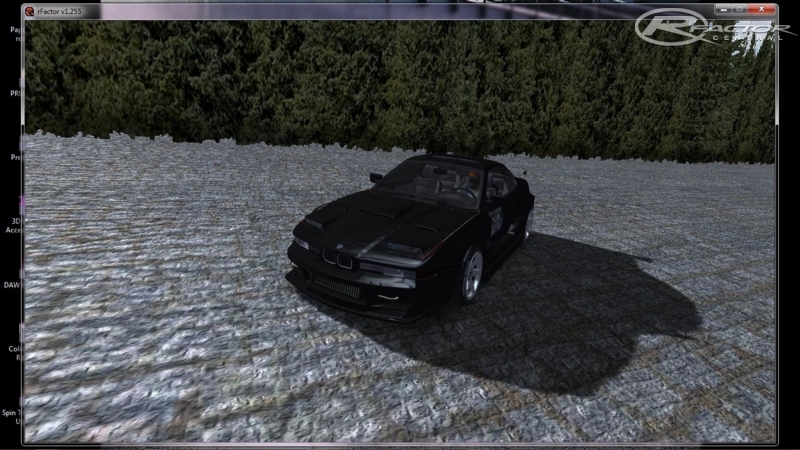 There are currently no car skins available for BMW 850i BLACK RACER EDITION. If you are a painter you can share skins for this mod via the Car Skins area. Visit the Spray Booth for painting tips & tricks. gracias, gracias y mil gracias me encanto el bmw 850I by jose lopez maravilloso, 308 km en nsuka 1.70 endurance, abra alguna actualizacion con mejoras? JOSE LOPEZ muchas gracias!!!!!!!!!!!!!! Dont advert your track with "the longest" etc. if its not right. One of those rare mods in which you really feel like you are in a car. I love driving it. Too bad the cockpit is tinted, and the sticker takes half of the windshield anyway But really good sounds, and feeling in general! impresionate los que acelera este mod !!! yo llegue hasta 270 kms /h en recta en un circuito de ovalo , pero seguramente debe acelerar mucho mas !!! hi,cool modded car,but the psyphisics are all wrong!! this is a rear wheel drive car so why do you make it 4 wheel? sorry but i gona change this,if you whant i share whit you the HDV file changed by me! but stiil a good work!! thx a lot for this car! P.S. IM THINKING MAKING A DRIFT AND GRIP PSYPHISICS!